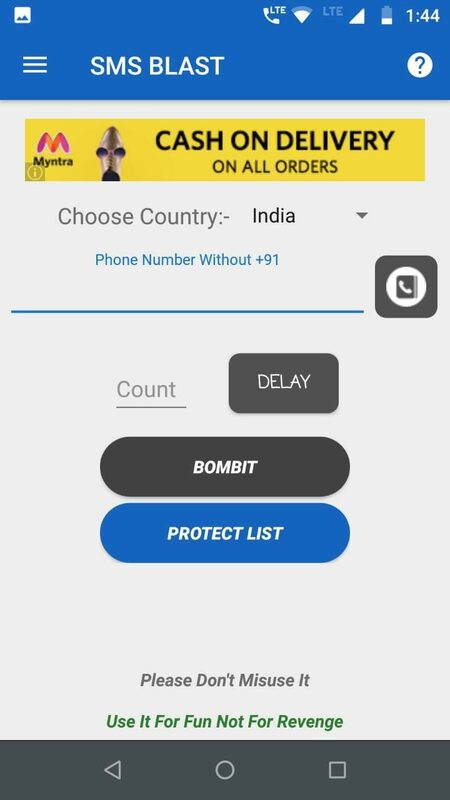 BombitUp Apk is an amazing app if you want to play a prank on your friends, girlfriends or even family members. With the help of BombitUp, you can send them lots of messages which can even hang their device for a few seconds. You can even fake a call with this app and can do a lot of fun, this app has so many features that will really bring a smile on your face for a while. Sometimes you will capture such funny moments that you will remember for the rest of your life. This app not only allows you to send bulk SMS or do fake calls but you can send emails in bulk too and the best part of this amazing app is that it is available for free. But whatever, you are going to do with this app do in a limit. Fun is only Fun if it is done in limited or in a controlled way. The only limitation of this app is that you can not send SMS, emails anonymously, if you want to do so then you have to update your app to the pro version which is paid. So, if you have bad intention then keep in mind that your identity will be shown so think twice before using this app. In this article we gonna share the download link of BombitUp with you guys, you can download with just one click from the download section below. You can send custom SMS with the help of this app, you can customize your message according to your need. If you want to spam someone’s email then this app will do your job very nicely. 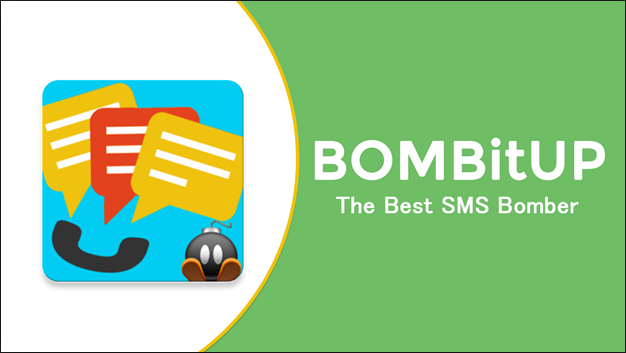 With the help of BombitUp you can send SMS, calls internationally. 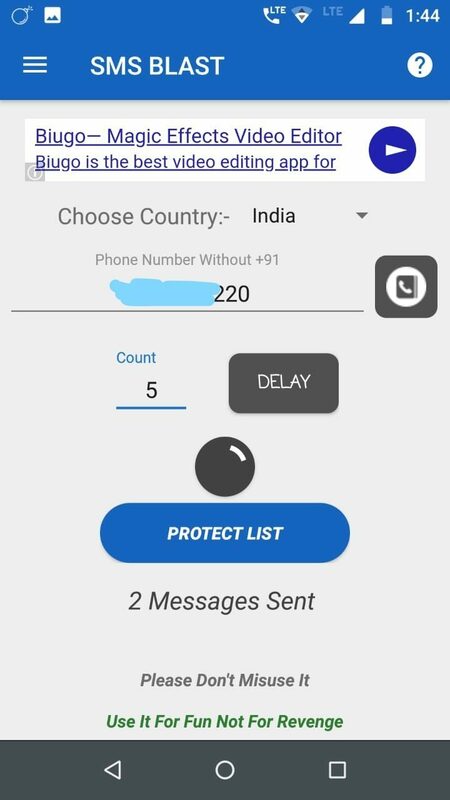 You can send miss calls anonymously internationally but this app has a limit of sending 5 miss calls a day. 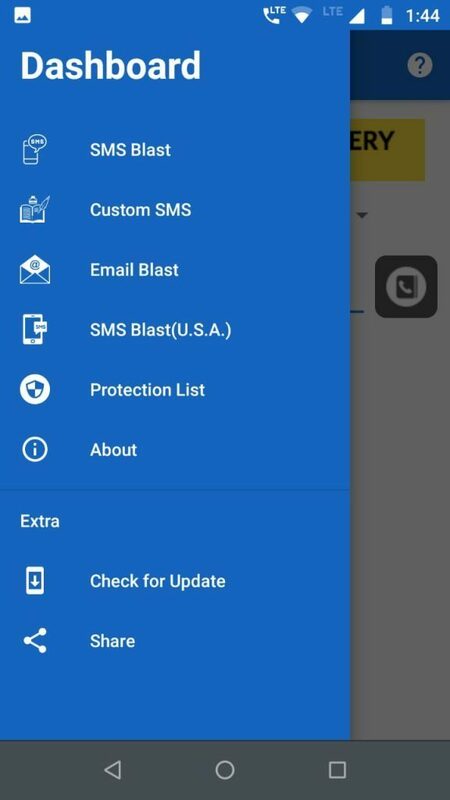 If you want to protect yourself from SMS Bomber, or someone using the same app to irritate you then you can register yourself in this app and you will no longer get any SMS, calls or email thereafter. 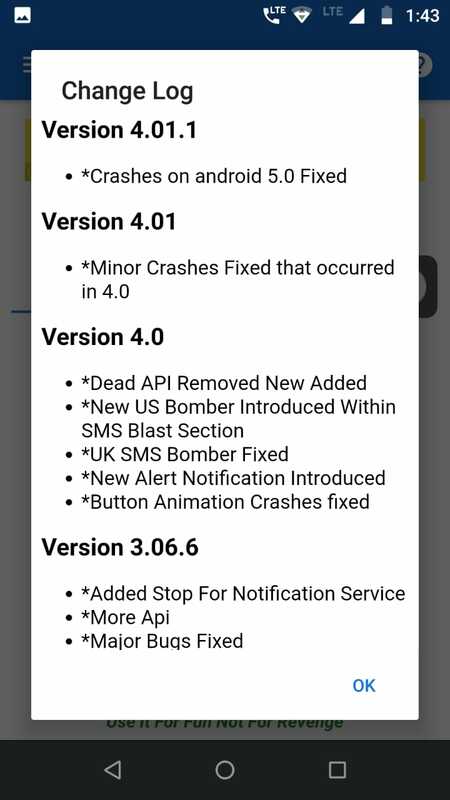 You can get latest update notification directly in your app. You don’t have to visit any site to download the latest version every time. 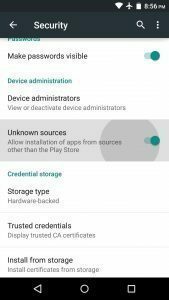 First of all, you have to enable app installation from Unknown Sources in your Android device, you can do so by going to Settings > Security > Unknown Sources. 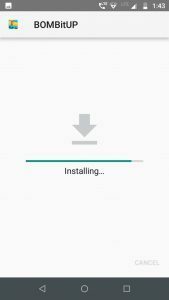 Now download the BombitUp APK from the above download section. Wait until the installation gets completed. 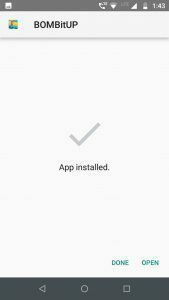 Once the installation is done, Open the App and enjoy the cool feature of this app and prank anyone at anytime. 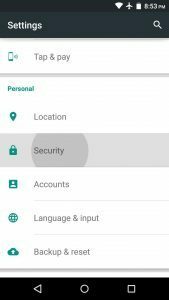 Here are some screenshots of the BombitUp app on Android.